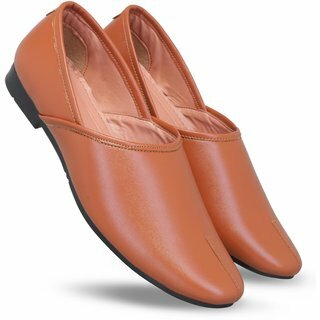 Blinder Brown Jalsa Nagra Ethnic Jutti..
Decot Paradise Women White Ethnic Foot..
Styles Men's Tan Synthetic Slip on Moj..
Styles Men's Black Synthetic Slip on M.. 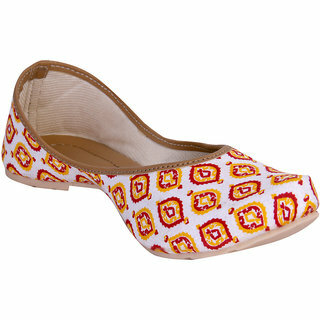 Ethnic footwear for womens are a great option for special occasions like weddings and traditional festivals. Since Indian women are immensely fond of ethnic wear, it goes without saying that they need matching footwear to go with their attire. Ethnic footwear for ladies comes in different colours, intricate designs, embroideries, and other embellishments which will you make you stand apart from the crowd. 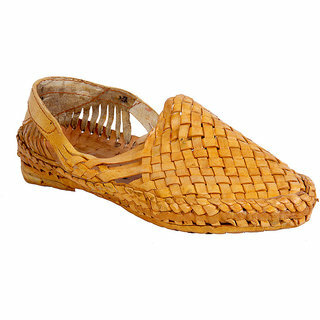 You can look for ethnic footwear online to go with your gorgeous sarees, anarkalis, and lehngas. Top online retailers have an assortment of attractive footwear that will complement your ethnic ensemble for any occasion. 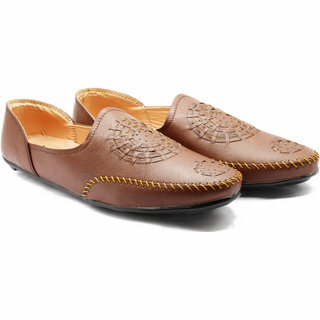 You can try Mochi Shoes Price List for their ethnic collection which has an exhaustive range of elaborately ornate footwear. 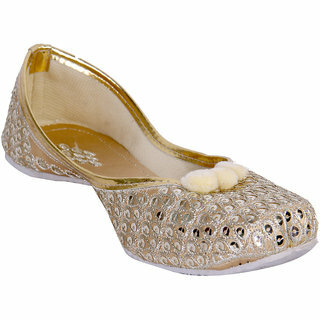 During festive seasons, there are exciting women ethnic shoes offers which are not to be missed. Since ethnic wear is mainly chosen for dressy occasions, you would definitely settle for ethnic footwear online that grab attention and highlight the charm and appeal of your outfit. 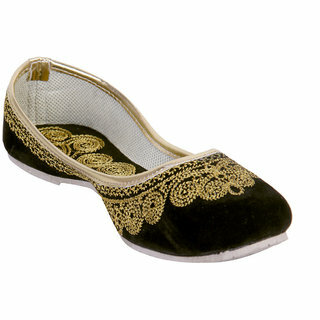 Often women ethnic shoes have excellent craftwork including beading, embroidery, lace work, stonework, and thread work. 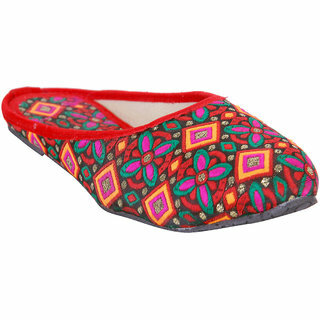 The category of ladies ethnic shoes includes items like mojari, jooti, kolhapuri chappals, phulla, mocha, and much more. Since many years, these have continued to be every woman's must-have items in their collection, and likewise, skilled craftsmen from various parts of India who have inherited the trade from their ancestors. Some of the popular variations in ethnic sandals for women designs include the V-shape, the toe ring, heels, wedge heels, and flats. With sarees and lehenga cholis, heels and wedges are the most preferred since the fall of these dresses demand footwear that provides a little height. 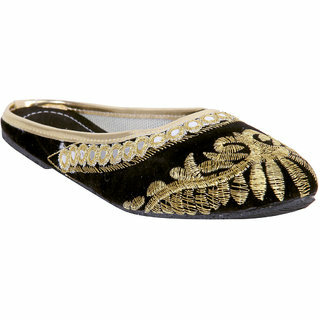 On the other hand, flat sandals with elaborate designs can be worn with salwar kameez as well as kurtis and indo-western tunics. 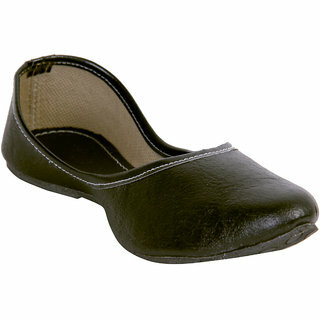 Check out women flats price in India to go through the various choices online. 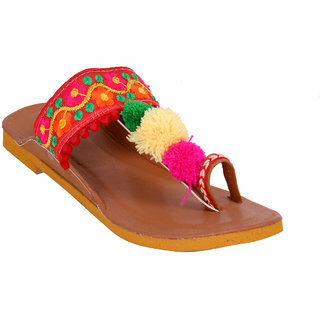 With the emergence of Indian fashion as a major trend in international circles, the variety of these ethnic footwear for women online have also increased manifold. More and more brands are making a foray into ethnic footwear online India which means the customer can enjoy a wider variety. 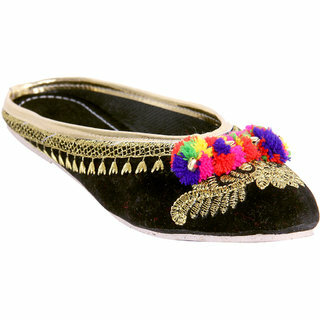 Jaipuri Sandals, embroidered flats, beadwork slip-ons, and highly decorated mojaris- you name it and you have it! 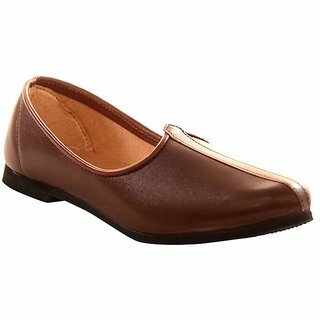 Before selecting the final pair, you can take a look at women shoes price list and shortlist the ones you like most. Mix and match different pairs with your collection of ethnic dresses to lend you the perfect look for formal events or special parties. 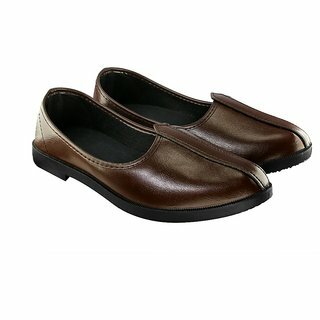 Choose from classic shades of ethnic footwear online shopping like red, brown, black, or opt for the vibrant ones. 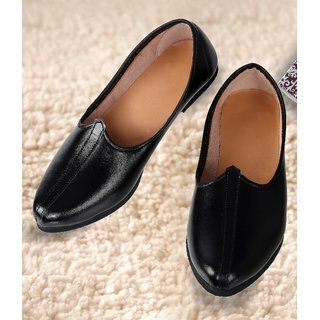 You can find an amazing collection of ethnic footwear atCatwalk shoeswith some great cashback offers.Especially for weddings and other big events, women generally prefer footwear with golden and silver patchwork. Brides specially are very particular about the footwear they wear on their big day. If as a would-be bride, you are on the lookout for a gorgeous pair that will make you feel no less than a queen, keep an eye for women ethnic shoes sale to hunt down the dream footwear for the D-day. 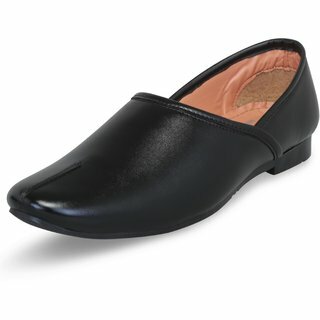 It is advisable to plan weeks in advance and also keep a note of women ethnic shoes price in India. Metro shoes price list are a great option for brides-to-be. Several major online retailers such as Jabong, Myntra, Amazon, Flipkart, and others have a wide range of styles when it comes to ethnic shoes for women. What's more, if you shop at these sites through CashKaro, the extra cashback on top of every purchase will leave you with an unmatched content added to the delight of shopping!